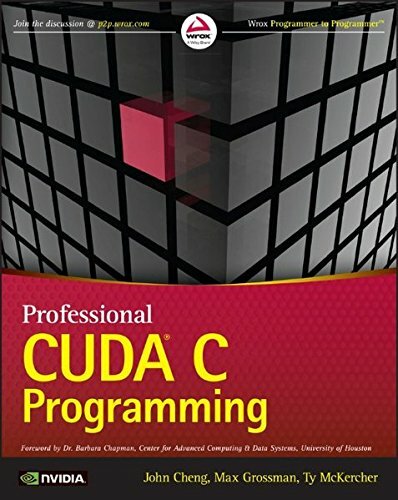 Designed for professionals across multiple industrial sectors,Professional CUDA C Programming presents CUDA -- aparallel computing platform and programming model designed to easethe development of GPU programming -- fundamentals in aneasy-to-follow format, and teaches readers how to think in paralleland implement parallel algorithms on GPUs. Each chapter covers aspecific topic, and includes workable examples that demonstrate thedevelopment process, allowing readers to explore both the "hard"and "soft" aspects of GPU programming. The book makes complex CUDA concepts easy to understand foranyone with knowledge of basic software development with exercisesdesigned to be both readable and high-performance. For theprofessional seeking entrance to parallel computing and thehigh-performance computing community, Professional CUDA CProgramming is an invaluable resource, with the most currentinformation available on the market. By Brand: Sinauer Associates, Inc.